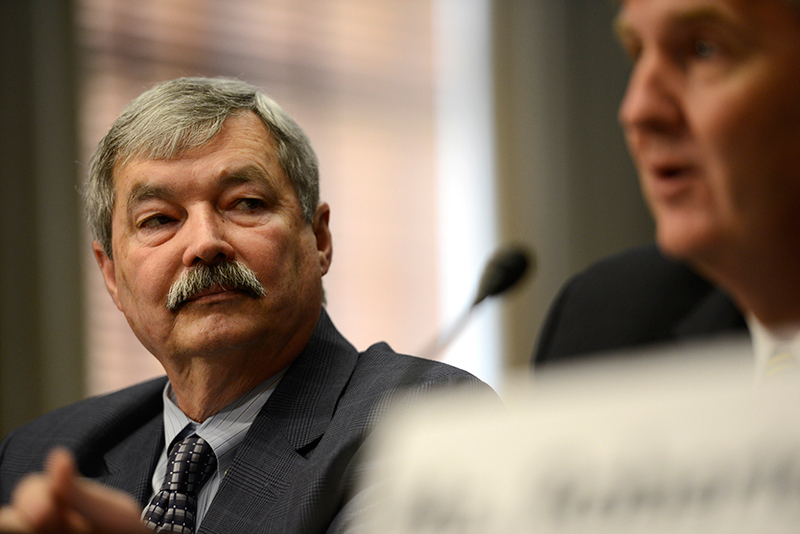 IBEW Utility Department Director Jim Hunter testifies on Capitol Hill at a Senate hearing on April 10, 2014. 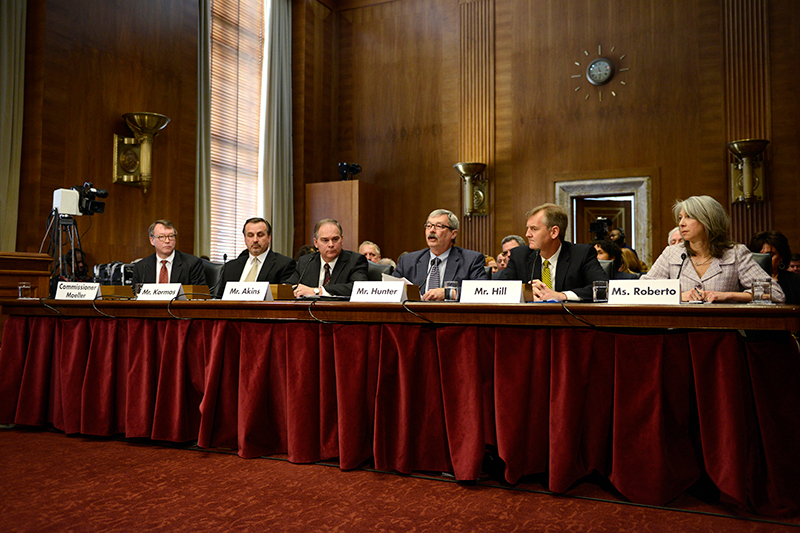 The hearing, convened at the request of the IBEW, United Mineworkers, and the Utility Workers, discussed the reliability and safety of the nation’s power grid. 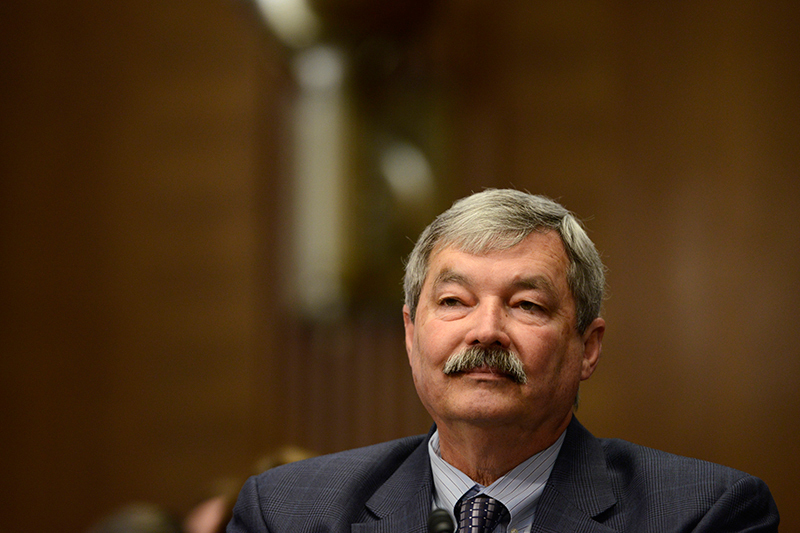 I really love the days when I get an email that says, “Hey, can you go shoot this thing on the Hill tomorrow?” This time, it was a Senate hearing on the reliability and safety of the American power grid. The room was beautiful, and packed. Thankfully we got there early and got a standing room spot. Non-press were being turned away all morning. It seemed like no one expected the hearing to be so full, and yet there we were, stuffed into corners like sardines. On a side note about the room: we were watching Cosmos this week and I noticed that the hearing room illustrated in the lead-in-gasoline fight was likely the same room. Funny. Edit: Looking at these photos on my home laptop, I think I may need to calibrate my work monitor. Hm.